Saints Row 2 is a nonlinear third-person shooter video game developed by Volition, Inc. and published by THQ for the Microsoft Windows, PlayStation 3, and Xbox 360 systems. It is the second title in the Saints Row series, after the release of its predecessor Saints Row in 2006, and has a sequel currently in development. It was released in North America, Australia and Europe in October 2008 for video game consoles and ported to Windows in January 2009. Before the game's original release, it was ported by G5 Entertainment to mobile phones. Three downloadable content packages were developed for the PlayStation 3 and Xbox 360; Ultor Exposed, Corporate Warfare, which both featured extra clothing, vehicles and missions, and The Unkut Pack, which only featured new clothes. Corporate Warfare and Ultor Exposed each cost USD9.99 on PlayStation Network and Xbox Live Arcade, while The Unkut Pack was free on both PSN and XBLA. The gameplay of Saints Row 2 is structured similarly to that of its predecessor, Saints Row. The core gameplay comprises elements of third-person shooting and driving in a nonlinear environment, affording the player an open world in which to move around. The player's character is capable of maneuvering through the environment, utilizing weaponry and engaging in melee combat. After successfully completing the first game mission, the player is able to explore the environment and choose how they wish to play the game. Missions are unlocked by earning 'respect' points from minigames and side-missions and although completing missions is necessary for game progression, players can complete them at their own leisure. The player is granted the option of instantly retrying the missions should they fail an attempt. Numerous checkpoints save progress in each mission, and missions can be replayed from locations within the environment. Aside from attempting missions, the player can explore the environment, purchase items at shops and participate in the aforementioned mini-games and side-missions. The player can also wreak havoc upon the environment which can provoke potentially fatal attention from authoritative forces. The player can recruit members from a friendly gang and use a mobile phone to contact friends and/or businesses, as well as to input cheat codes. It should be noted that entering cheats will disable Xbox 360 achievements. In Saints Row 2, the combat systems from Saints Row have been updated but many of the basics remain unchanged.While engaging in melee-based combat, the player character will perform combos and charge up attacks, and can execute a finishing move if three consecutive hits are dealt.With a gun equipped, the player can perform a groin attack, and can zoom in for a finer aim reticle. The player can also employ the use of human shields, and can use makeshift weapons pulled from the environment e.g. fire hydrants, cement blocks. Should the player either commit illegal activities or incite rival gang members, they will provoke potentially fatal attention from authoritative figures or rival gangs. The notoriety bar is a visual representation of the proactivity of the opposing figures' response and continual inciting of these groups will bring about a more powerful response, such as SWAT teams from the police. 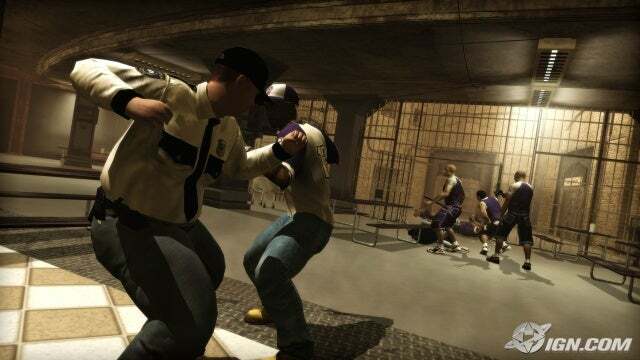 The player will continue to be chased by these groups until captured or killed and must reduce the notoriety bar by either hiding from the police or gang and wait for it to "cool off", or by seeking out a drive-through confessional which will clear the notoriety bar for a small fee. Should the player character be apprehended or killed, a small percentage of the player's earnings will be removed and the player will respawn at law or healthcare institutions. The game contains over forty different weapons, many of which have been recycled from Saints Row .The game allows the player to utilise new weapon types, examples of which include satchel charges, laser-guided rocket launchers, chainsaws and more. The player has the ability to dual wield handguns and submachine guns. Weaponry can be purchased by the player from specific stores or unlocked throughout in-game progress. At the end of Saints Row, the protagonist was aboard Alderman Richard Hughes' luxury yacht when a bomb exploded on the yacht leaving the fates of Hughes and The Protagonist (Player Character) unknown. In Saint's Row 2, it is revealed that Hughes was killed and The Protagonist was put into a coma. Five years pass and the Protagonist awakes in a prison hospital ward and received extensive plastic surgery. The protagonist meets inmate Carlos Mendoza and the pair escape the island and return to the protagonist's home city Stilwater, rebuilt by the Ultor Corporation after a devastating earthquake that left parts of the city below sea-level. The Protagonist then rescues friend Johnny Gat from a courtroom proceeding, enlists the help of Johnny's friends Pierce and Shaundi and begins to rebuild the divided 3rd Street Saints gang. The protagonist, referred to as the Boss, leads the Saints on a quest to retake the city. The main storyline is divided into three separate story mission arcs, completable at any time and in any order. Copyright © 2011 Games Dope | Powered by Blogger.